An airplane that suffered mechanical problems landed in the eastbound lanes of Alligator Alley Saturday afternoon. According to The Florida Highway Patrol, a single-engine Cessna piloted by Pedro Krisciunas Kazimier, 25, from Doral, along with one passenger made a successful emergency landing on Interstate 75 around 5:30 p.m.
No injuries were reported and there was no damage to the plane. The aircraft was moved to the shoulder of an entrance ramp for disassembly and removal. FAA is investigating the cause of the power failure. 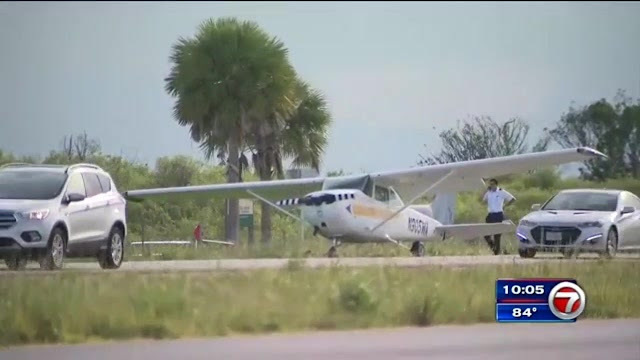 WEST BROWARD, FLA. (WSVN) - A short training flight above South Florida came to an abrupt and unexpected end after a mechanical issue forced the pilot of a small plane to make an emergency landing on Alligator Alley in West Broward. 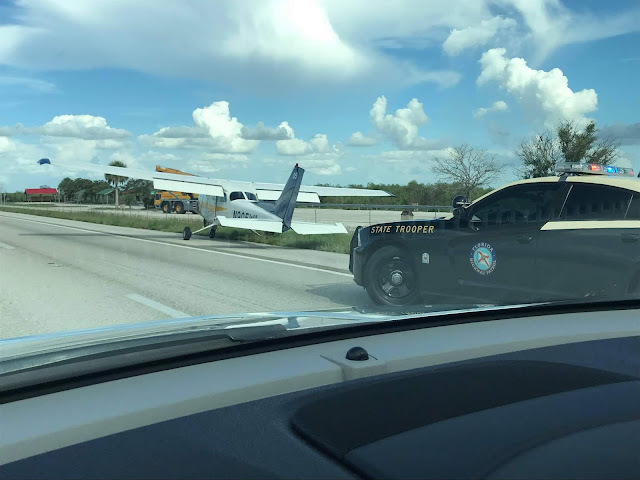 Broward Sheriff Fire Rescue responded to the scene on the eastbound lanes near Mile Marker 32, Saturday, just after 5:30 p.m. 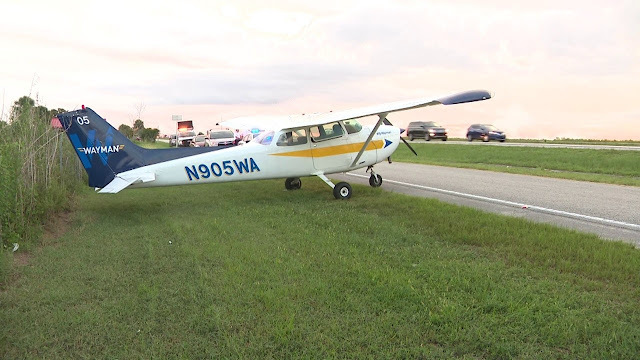 According to the Federal Aviation Administration, the single-engine Cessna 172 landed at around 5:15 p.m.
Eddie Luy with the Wayman Aviation Academy said the aircraft suffered mechanical problems, forcing the instructor and student pilot on board to touch down on the highway. First responders were met by the two occupants of the aircraft. They were on what was supposed to be a one-hour training flight from Punta Gorda, on Florida’s West coast, to the Miami-Opa locka Executive Airport, when they were suddenly forced to make a new plan — fast. Thankfully, officials said, there were no vehicles on the eastbound lanes at the time of the landing. The aircraft was parked on the right shoulder of the highway, just west of the eastern toll plaza. No one was hurt, and the aircraft did not appear to have suffered any structural damage. As crews worked until late Saturday night disassembling the plane for easy transport, highway workers said this is something you don’t see every day. “You normally see alligators out here, not planes,” said a worker. FAA and the National Transportation Safety Board are investigating.